You know when you've had one of those bad days where the smallest of things like dropping your tray of chips on the floor sends you over the edge, leaving you in floods of tears? We all know how to solve this problem don't we? Yep, put the kettle on! Ideally, have some cake at the ready too. I wasn't a fan of Earl Grey until a couple years ago when I tried it with milk..is that weird? 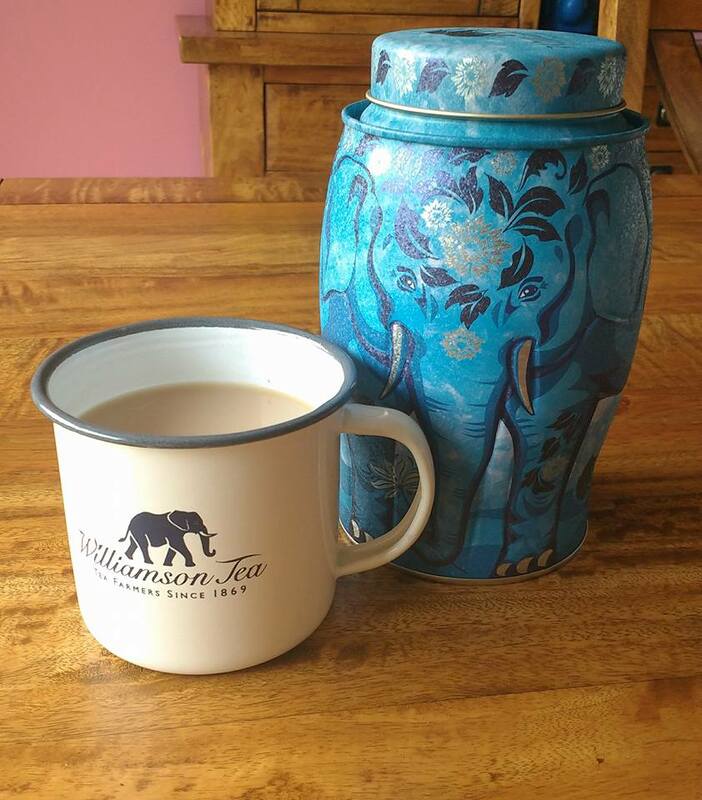 Anyway, it's nice to mix things up a bit flavour wise now and again so when Williamson tea*asked if I'd like to try one of their newest products, I jumped at the chance. 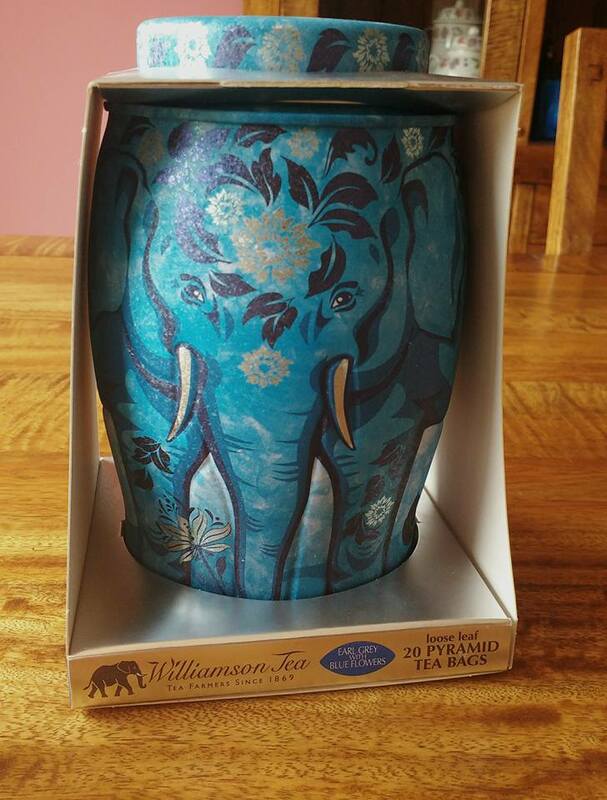 They sent me earl grey with blue flowers which is being released 25th April 2016!! I shared the tea with my mum who described it as 'light and summery'. I'd say that's pretty spot on. I'm not usually a fan of floral tastes but it's very subtle. I made it with milk which may not be the recommended way of serving it but it worked for me! 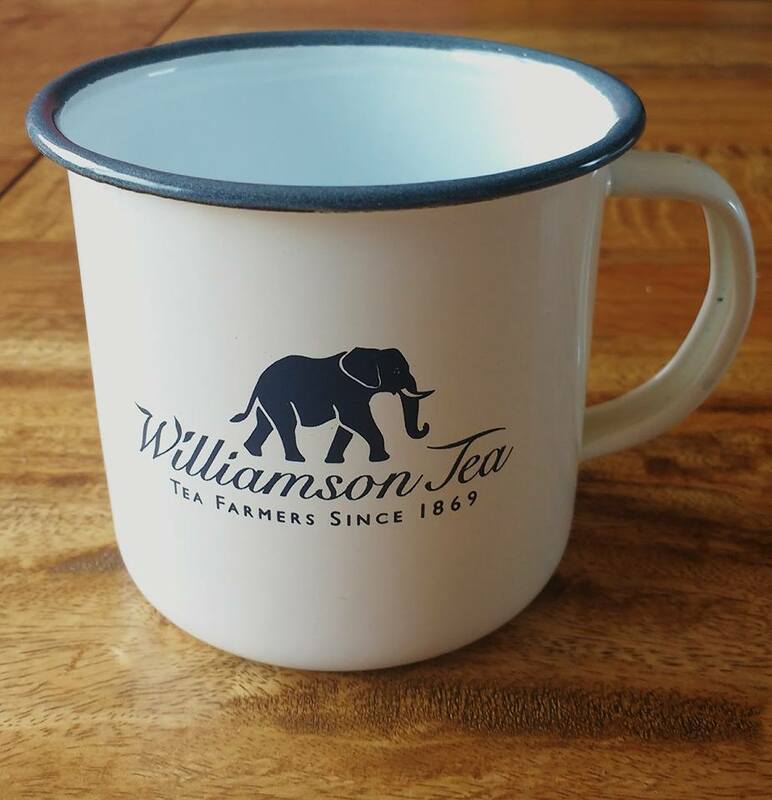 I felt like the enamel mug needed a photo of its own! I'm a sucker for cute mugs like this, it's perfect for cosying up with on a warm summer evening out in the garden, you know when the sun is starting to set? That's definitely my favourite time of day! What makes your bad days better? 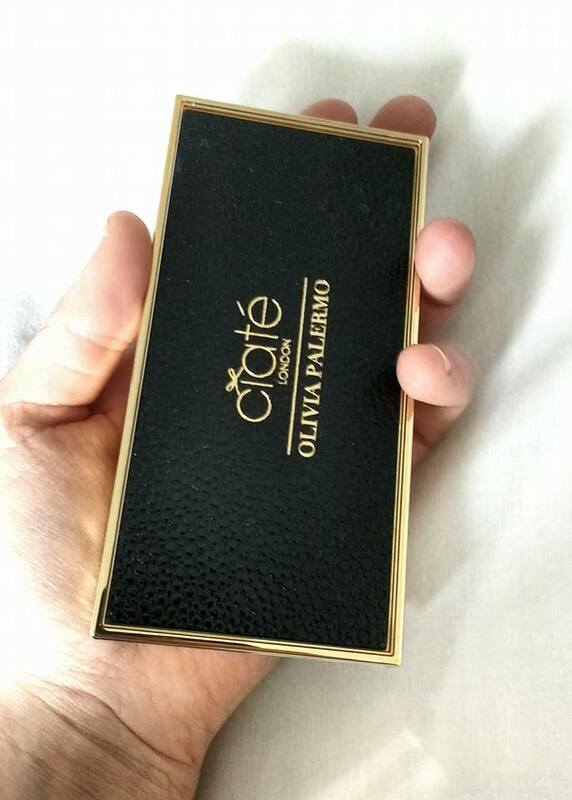 I was super lucky this month to win this beautiful Ciate Smokey suedes eyeshadow palette by Olivia Palermo (what a mouthful) from Just Jodes giveaway. I never usually win things so I was a bit shocked and of course very excited when I got a message to say I had. 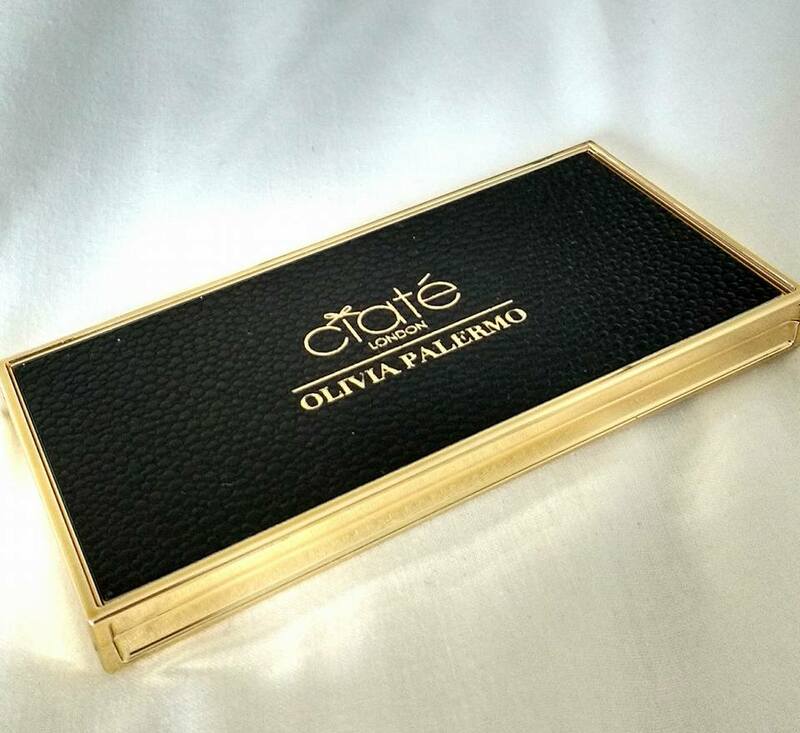 I will start off by saying that the palette is a lot smaller than I had pictured but I think this makes it perfect for popping in your bag when you're on the go. I love the crocodile skin texture it has and of course black and gold always looks classy. 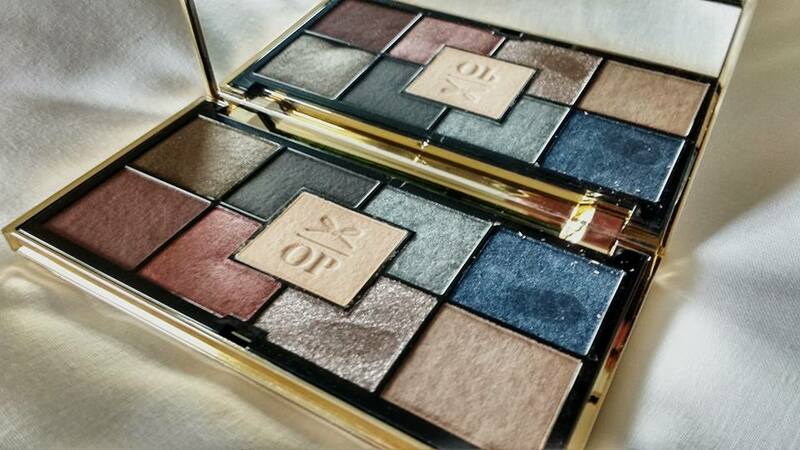 It comes with 9 shades of which there is a generous amount of each. 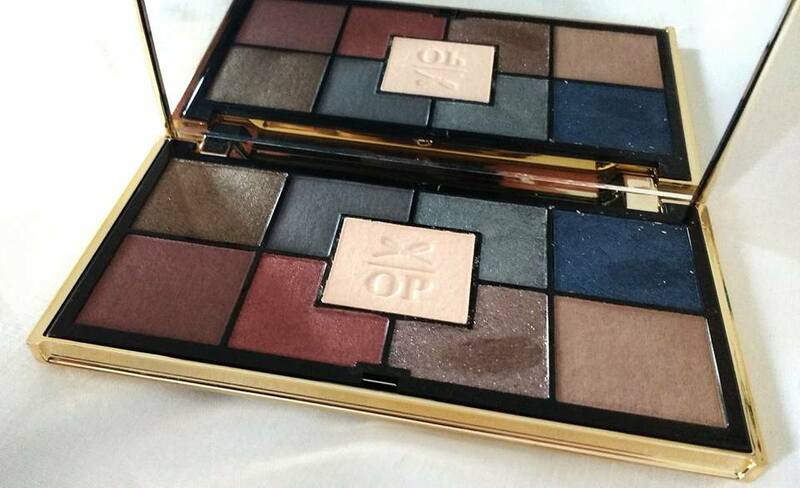 Much bigger than in the Naked palette where there's big holes in my favourite shades! So far I have only used the neutral shades which are easy to blend and compliment each other well. They're not the most pigmented so I used a few layers to build them up but they're perfect for a natural look. Despite the shimmer in some of the colours, they don't make a mess of your face when you apply them and have a weightless feel to them.They lasted all day with only a small amount melting in the crease of my eyes but I didn't wear a primer like I normally would. I'm going to have fun creating smokey looks with the blue/grey shades, they're all super wearable and offer something different to my beloved Naked palette! I'm going to hold my hands up now and admit that these did not turn out how I wanted them to, They were supposed to be, well you know...normal flat cookie shape. 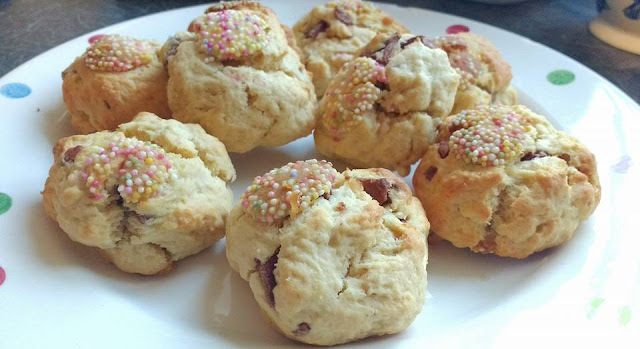 They were an accidental tasty mistake so I thought I'd share exactly how to make these scrummy little chunks of goodness! 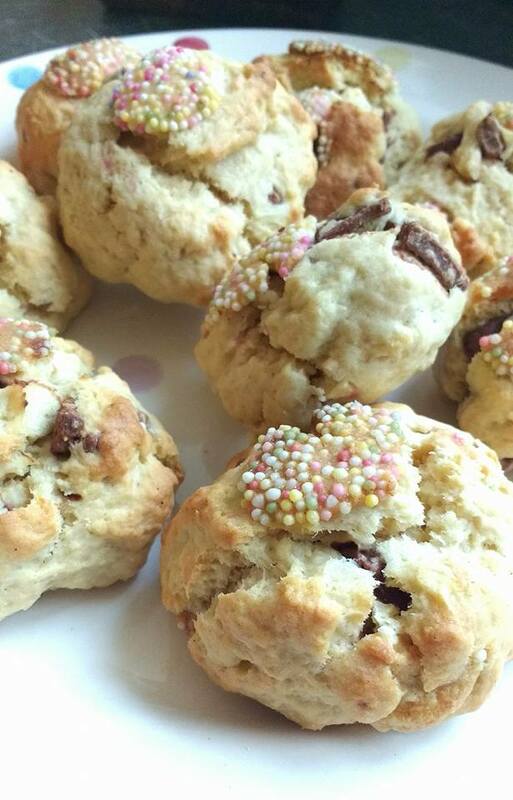 They're texture is between a cookie and a cake, so we're going to call them cakeies! Well I'm sure like many others this Easter, I have gained a few extra pounds after indulging in chocolate rabbits, eggs, cake... basically chocolate anything and I regret absolutely nothing. BUT...I am only 5ft2 so even a few pounds can make my clothes fit a bit uncomfortably! Breakfast: A glass of luke-warm water with the juice of half a lemon and then a small bowl of Muesli Crunchy Bran with semi-skimmed milk. I read somewhere that drinking lemon water helps with digestion and should be drunk 15-30mins before eating. There are also lots of other claims such as that it freshens your breath, gives you an energy boost and keeps your skin blemish free! Almonds are packed with nutrients, antioxidants and Vitamin E as well as reducing hunger, thus your overall calorie intake! Lunch: Spinach and Ricotta Tortellini with pesto. I ate 1/3 of a pack that was meant for two. I'd like to say this way because of my super good portion control but actually it was all we had left in the house so I had to share it with my parents! 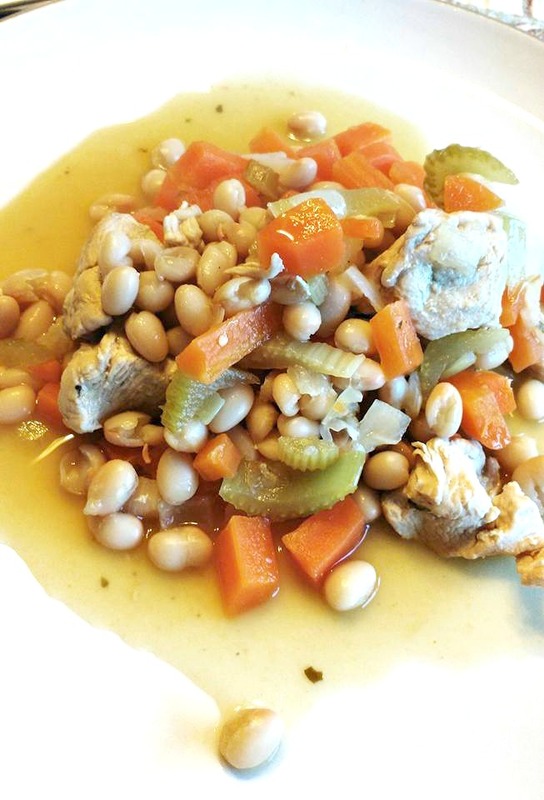 Evening Meal: Chicken and White Bean Stew (pictured). The stew was surprisingly filling and pretty tasty too! 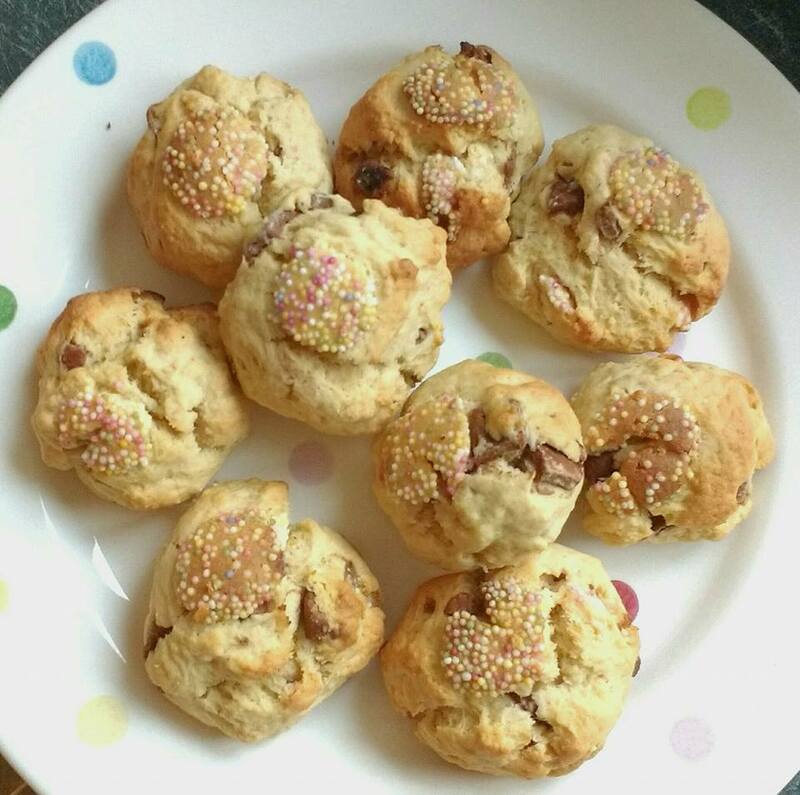 I have included the recipe below if you want to try it, it's really easy! 1) Spray a large saucepan with a few spritzes of fry light and heat it up, before adding your chicken and frying it until it goes light brown in colour. Each serving contains approx 291 calories, making it low in calories and fat!! If you have any other healthy meal ideas let me know in the comments as I love trying lots of new things.